Testing crossover sails is much like trying to compare SUVs in the car world. The fastest growing sector in the industry and yet what is asked of the product is always going to be a compromise. Is it grunty and bottom end specific, does it effectively resemble a large wave sail and focus on manoeuvrability in the hands, or is it a bit of a stealth speed specialist and focus on giving you the minerals to beat your friends in a drag race when the chips are down? It could be the largest option in a manoeuvre-focussed rider’s quiver … or the smallest sail in the heavier speed sailor’s hoard, for dabbling in coastal breaks when they want a more relaxing windsurf. This test was originally published in the March 2018 issue. There are a total of ten sails on test here, equalling the most we have ever tested in one category. And the reason for this is quite simple – much like crossover boards, this sail class is the largest grossing in sales for each brand, year after year. We have some in the test that are best described as large wave sails – the Ezzy Zeta, Neil Pryde Atlas, Simmer Apex, Point-7 Spy and Loftsails Purelip. The five battened structure is ideal in this size, and the brief for a manoeuvre-oriented crossover sail is identical to that of a large, onshore-focussed power wave-sail. It needs to have good bottom end power, lots of top end stability and the durability to withstand a pounding in violent seas. There are then the alternative breed, those crossover sails that come from a more freeride oriented approach; more about ease and practicality of use, that don’t feel out of place in a more locked in and straight-line cruising or blasting role. They are quite often the sails with the largest number of sizes available in the range, the sail’s brief changing throughout their sizes to account for the conditions and roles the sails are likely to be used in – the Severne Gator, GA Hybrid and RRD Freemove to name the obvious ones in this group. So that leaves two – the Goya Nexus and North Super Session. The Nexus we have known for a while, its brief and direction changing with the introduction of the Mark to Goya’s sail range. Designer Jason Diffin describes the sail as “pure freeride” and in the truest sense, that is what ALL these sails are trying to provide – just simple, easy, go anywhere, do anything windsurfing. Rig it and go … and if the conditions change, come in for a re-tune and get out there again. 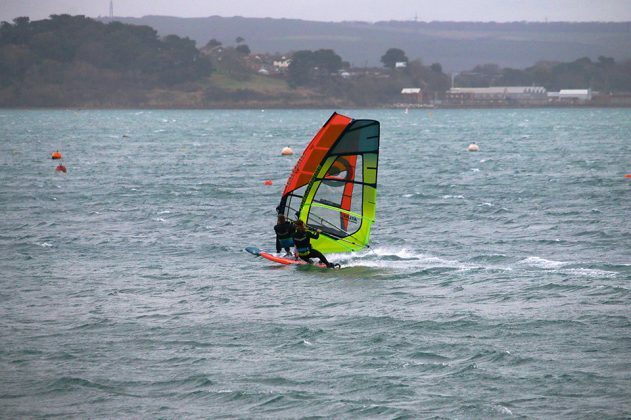 Hassle free windsurfing, whatever the conditions. 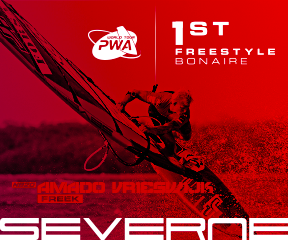 The new kid on the block is the North Super Session, marketed and aimed directly at the freewave sector. The idea was to create a different feeling option to their wave sail, the Super Hero … and they have certainly done that. You’ll have to read the full report to find out how, but it highlights the question that we should all ask ourselves – how do we actually sail now … what style of rider are we, not what style of rider do we want to be or think we are. If you address those questions honestly, you’ll make the right kit decisions and ultimately all your sessions on the water could become ‘super’. One interesting fact is that no matter what the brief or background of the sail, each of these ten have remarkably similar increments, within 10cm of each other in both boom and luff length. There is also far less disparity amongst the group in luff curve profiles than we saw in the wave sail category. They all set on a 430cm mast, have a five batten frame and use x-ply, Dacron or monofilm in their panels to varying degrees. Eight out of the ten have steps or scalloped leech outlines between their main batten and clew, designed to stop flutter and promote stability, whilst also often enabling the clew to be inset a little more for improved manoeuvrability. That is not to say that all the sails feel or behave the same on the water, but a worthwhile observation and perhaps highlighting again that it’s more about asking the earlier question – aligning the right sail character with your riding style that counts. Focussing on the sails from a wave heritage to start and you can’t get more steeped in history than the Ezzy Zeta. It’s a cracking wave style sail with an extraordinary tuning range. The Simmer Apex is of a similar ilk, with a much lower centre of effort and riding style, but a similarly vast wind range. The Neil Pryde Atlas and Point-7 Spy are the power wave sails of their respective brands and generate a significant amount of power and drive through both hands. They also have range, but more on tuning and require experimentation to really discover their ranges. The Loftsails is the other sail in the test from a wave sailing background and sets very differently to everything else, relying on a high skin tension, a longer boom length and an elastic limit to really provide the feedback in the bottom end before stunning us with its top end prowess. The GA Hybrid is all about lightness of handling and easy useable power (at a great price), whilst the Severne Gator is also a stunning light handling sail, just with a more direct and responsive feel in the hands. Talking of direct, the Goya Nexus is a crisp, involving sail to use with a more locked in blasting nature as the wind increases … the other end of the spectrum to the Super Session from North – which is all about a manoeuvre-oriented stance and making the most of less than ideal conditions. Which is where the RRD Move fits in nicely as well – a really fun, easy and practical sail to use, striking just the right balance between ease and crisp response over a wide wind range.